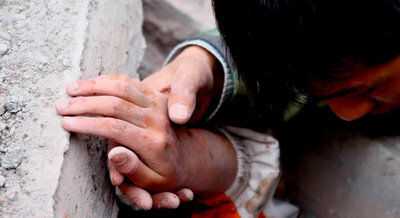 A rescuer holds the hand of a trapped student at Wudu Primary School on the outskirts of Mianzhu, in Sichuan Province, China. Incredible and difficult photo to look at. Heartbreaking world events. Wow that picture gets to me. My heart goes out to those victims. I came across something worthy of sharing... website: www.nonprofitshoppingmall.com. It's an online shopping porthole where you can choose Doctors Without Borders and other nonprofit groups giving relief to disaster areas, to receive a percent of your every sale. It's another easy way to raise money!!! Pass it on.